Help DSEF fund the gap between the adequate education supported by state funding and the superior education we have come to expect for our children. Your contribution is key to sustaining excellence across DSISD from year-to-year. through our Employee Giving Programs! * 100% of the money you give to DSEF stays in the district for education. 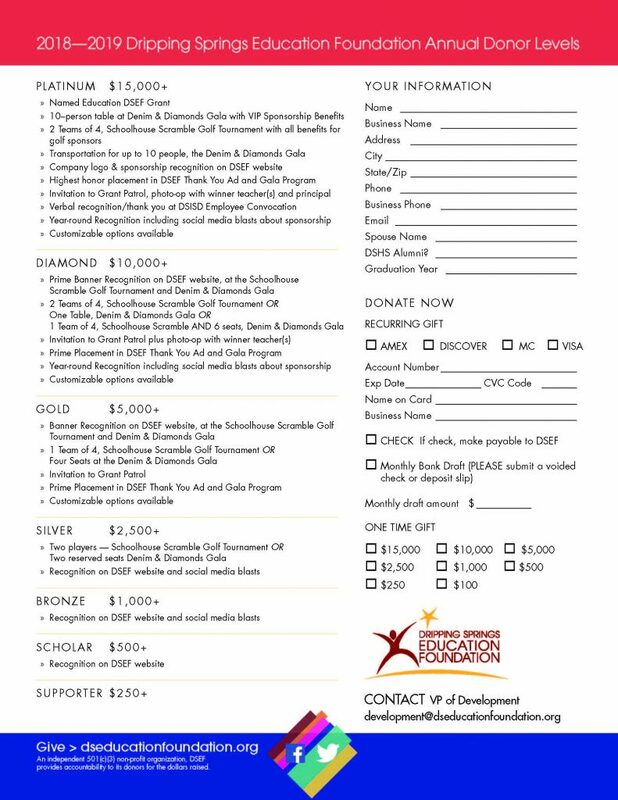 * Your contribution to the DSEF annual campaign is 100% tax deductible.